Ah Cyber Week , where the deals keep comin’. Aside from all the holiday shopping it is a good time to replace things that need replacing. For those that have a janky toaster oven spewing smoke in the kitchen, it might be a sign it’s time to replace it with a new one. And if it has gone that long where the thing has turned into a fire hazard (tip: empty the crumb tray! ), then a bells-and-whistles model probably isn’t appropriate. 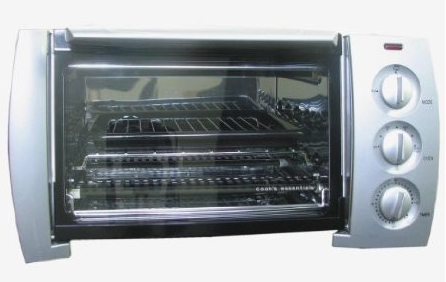 For a no-nonsense model at a cheap price, check out the Cooks Essentials Stainless Steel Design Toaster Oven . It can bake, broil and make toast: check it off the list. Even if it wasn’t exactly on the list. How’s that for efficient holiday shopping?